In late July 2016, we met a six-year-old cat named Jacob after he was removed from a hoarding situation with more than 60 other emaciated cats. 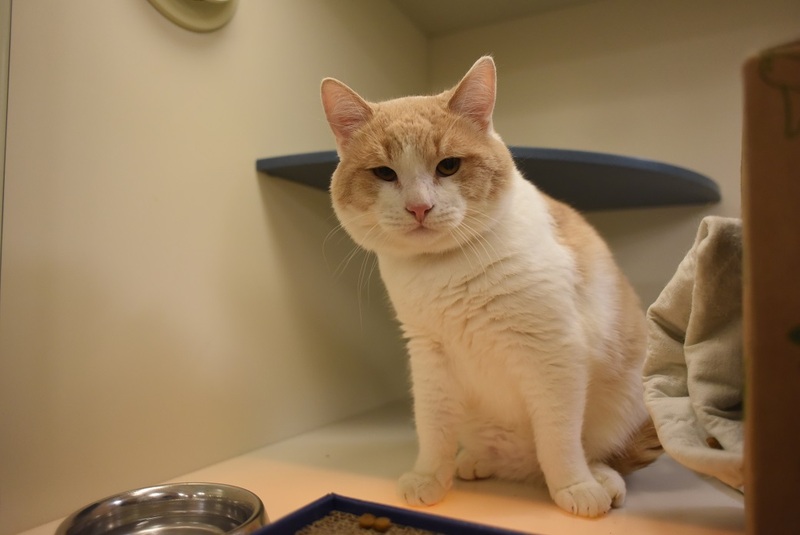 Shortly after his arrival at the ASPCA Animal Hospital (AAH), veterinarians diagnosed Jacob with Feline Immunodeficiency Virus (FIV), a disease that weakens cats’ immune systems and makes them susceptible to other infections. Although FIV can be dangerous and harmful to a cat’s health if not properly treated, it is completely manageable when the cat is given proper care. 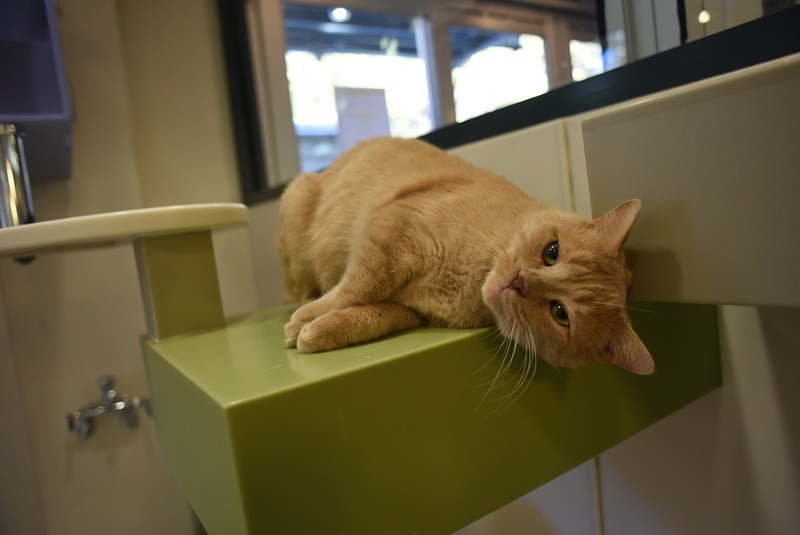 The veterinary team immediately began treating Jacob’s condition, and within two weeks, he was able to move onto the ASPCA Adoption Center to begin his search for a loving home. Jacob, in the Adoption Center. 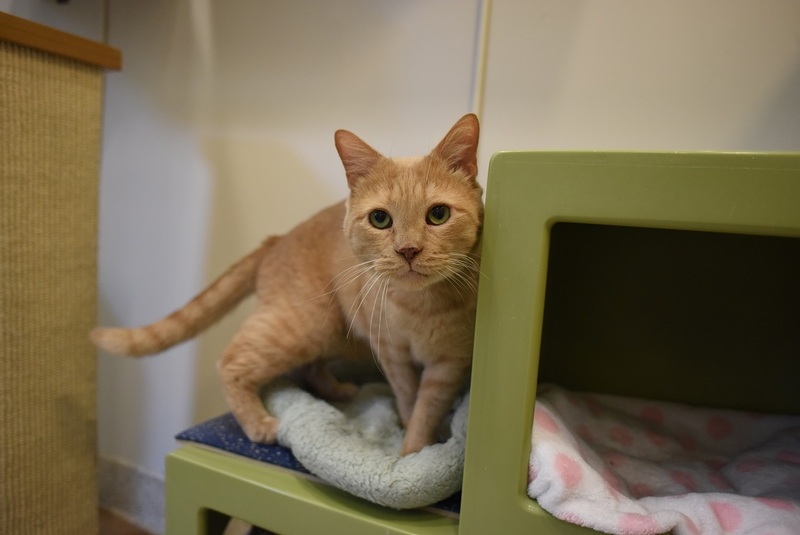 In mid-August, just one week after Jacob’s arrival at the Adoption Center, another hoarding case brought a new group of neglected cats to the ASPCA. One of these cats was Cheer, a fearful two-year-old with a shy disposition that indicated that he was probably under-socialized as a kitten. After the veterinary team examined him, they noted that, like Jacob, Cheer was also FIV+. But although the two cats had similar, tragic beginnings and hardships, their paths at the ASPCA would first take them on two separate journeys. While Jacob went home with an adopter in August, Cheer spent the next few months at the Adoption Center. When Jacob was returned just before Halloween, no one expected that the two sweet cats would soon find their paths converging. Cheer, in the Adoption Center. 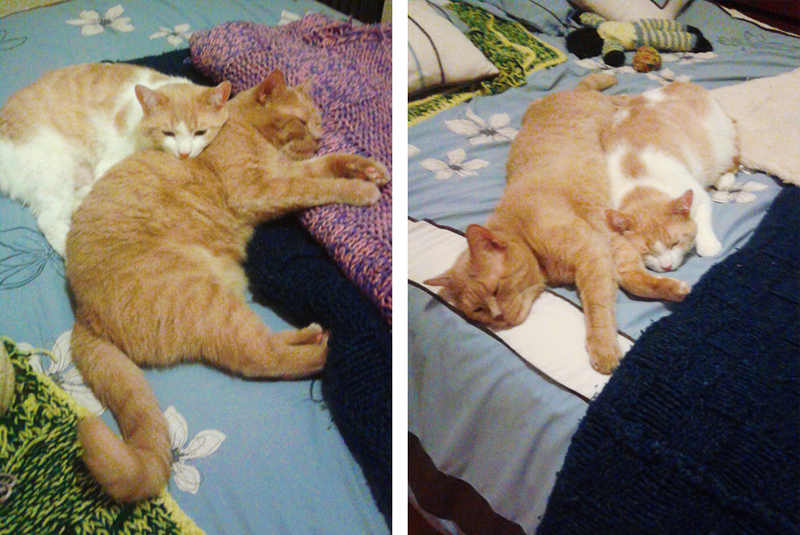 In late November, one month after Jacob’s return, Chloe H. came into the Adoption Center. Chloe had decided that she was ready for companionship after mourning the loss of her cat several months earlier. She knew that she was open to possibly bringing home two cats, and worked with the behavior specialists at the Adoption Center to determine which furry friends would be the right ones for her lifestyle and personality. In the days that followed, Chloe tells us that she also checked the Adoptable Cats page on the ASPCA website repeatedly to see if anyone special caught her eye. That’s when she saw Jacob. Jacob showing off his affectionate side. So Chloe happily made the adoptions official and took the two new brothers home to begin the next chapter of their lives. She renamed Cheer “Leo,” and slowly introduced the pair into her home. Chloe tells us that although their adjustment was slow at first, the bothers have truly made themselves at home and have since formed a special bond. 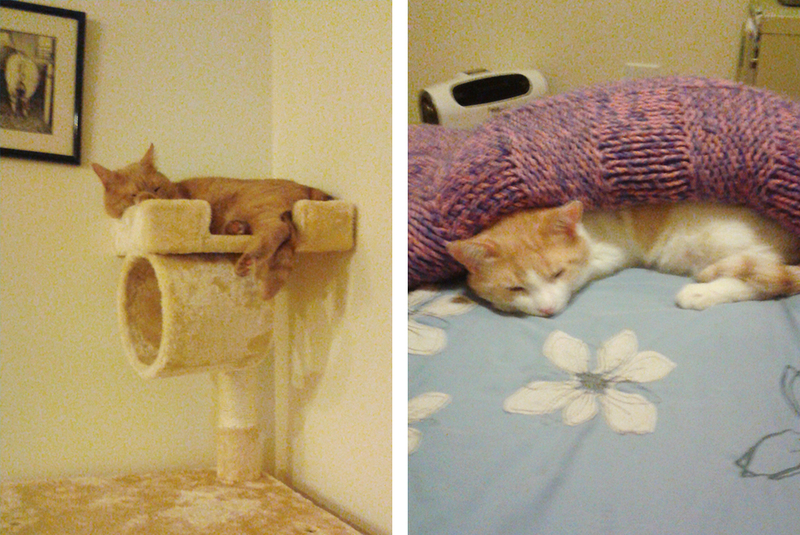 The boys love their playtime, and while Jacob loves being high up on his cat tree, Leo prefers to be snuggled up in low, enclosed spaces. Chloe tells us that the progress that the once fearful Leo has made has been truly remarkable, and that much of that is owed to his big brother. 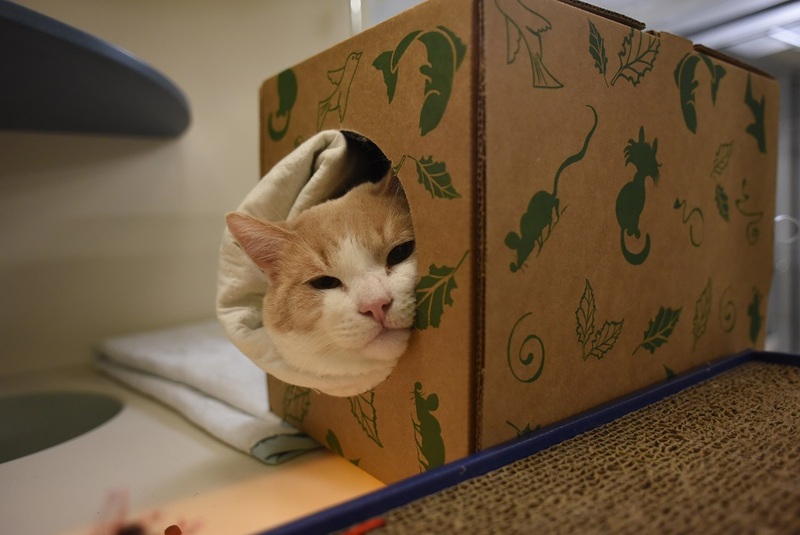 June is Adopt a Shelter Cat Month, and you can create your own Happy Tail for a cat in need by adopting a local shelter cat today.